040-dc-photographer-2010_12978_SP-irene-abdou-photography.jpg | Irene Abdou Photography, LLC - Travel. Lifestyle. Documentary. NGOs, Development & Public Health. In the town of Djibo in northern Burkina Faso, a Fulani child is sick with malaria. 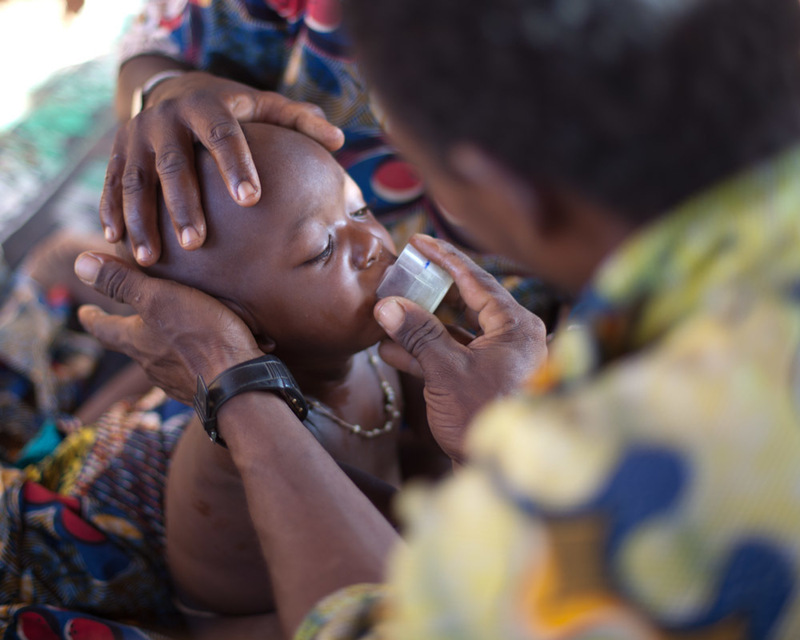 After a visit to the local military health center, the child's father, Dicko Ousmana, feeds his son artesunate and amodiaquine, an artemisin-combination therapy for malaria treatment. While easily prevented by sleeping under an insecticide-treated mosquito net every night, throughout Africa, malaria is a major killer of pregnant women and children under five.